The Poets' Co-op Spring 2006 Open Reading Series will be held on Thursday, March 2nd, April 6th & May 4th at the Loveland Museum on the corner of Fifth & Lincoln. Readings will be downstairs at the Foote Gallery/Auditorium from 7:00 - 9:00 p.m. Complimentary snacks will be graciously provided by HENRY'S PUB (234 E. 4th St.). Readers & listeners embrace all styles of original poetry and range in experience from first time readers to published and polished professionals. Poets can sign up to read the night of the reading or ahead of time by email. Our Featured Readers represent a diverse mix of some of Colorado's finest poets. Jack Martin was born and raised in Denver. He’s taught junior high and high school English for nearly twenty years. He is a graduate of the MFA program at Colorado State University. Martin is a recipient of the Colorado Council on the Arts Poetry Award (2002). Across the past ten years, or so, Jack Martin’s poems have appeared in Agni, Another Chicago Magazine, Arsenic Lobster, Black Warrior Review, Crazyhorse, Diagram, Fine Madness, Florida Review, The Journal, The Literary Review, Many Mountains Moving, Matter, The Midwest Quarterly, Mudlark, Pleiades, Ploughshares, River Styx, Quarterly West, Sonora Review, Spoon River Poetry Review, Willow Springs, and many other magazines. Recently, a few of his poems have been anthologized in (Some from) DIAGRAM: a Print Anthology (2004) and in March Hares: Best of Fine Madness (2004). Martin’s chapbook is Weekend Sentences (Pudding House, 1997). Lisa Zimmerman grew up in a military family, graduating from S.H.A.P.E. American High School in Belgium. She received her B.A. in English and History from Colorado State University and her M.F.A. in Creative Writing from Washington University in St. Louis. Her poetry and fiction have appeared in anthologies as well as magazines including River Styx, the Colorado Review, The Sun, Atlanta Review, Bryant Literary Review, Rhino, and Indiana Review, among other journals. She won the 1986 Redbook magazine short story contest. Her second chapbook Traveling Among the Animals was published in 2002 by Pudding House. Her poetry book manuscript How the Garden Looks From Here won the 2004 Violet Reed Haas Poetry Award and is available from Snake Nation Press. She has been twice nominated for a Pushcart Prize. Currently, she teaches composition and creative writing at the University of Northern Colorado and has been a residency artist with Young Audiences of Colorado since 1997. 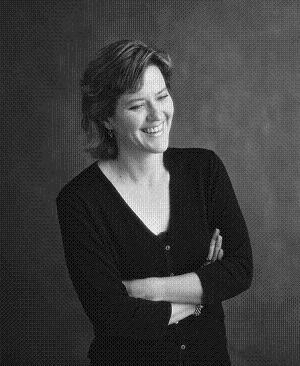 Elizabeth Robinson is a winner of the National Poetry Series, 2001, and the Fence Modern Poets Prize, 2002. Her published books include Apprehend (Fence Books, 2003), Pure Descent (Sun & Moon Press, 2003), Harrow (Omnidawn Press, 2001), House Made of Silver (Kelsey St. Press, 2000), Bed of Lists (Kelsey St. Press, 1990) and In the Sequence of Falling Things (Paradigm Press, 1990). She also has several forthcoming full-length books as well as many chapbooks.